We can offer vide range of Stainless Steel Round Pipe / Stainless Steel Round Tube from ready stock or on make to order basis & are currently supplying to UK, Iran(Tehran), Saudi Arabia, Spain, Bahrain, Nigeria, Dubai, Egypt, etc. Specifications: Can offer Pipes or tubes as welded (erw, efw or saw) & seamless (smls) with black, bright (pickled or mirror polished), aluminium finish depending on material grades. Size Dimensions: Client can avail Stainless Steel Round Pipe / Stainless Steel Round Tube of diameter sizes ranging between 6mm upto 31.75mm for OD sizes pipes & tube, ½” inch to 32” inch for NB sizes pipes & tubes depending on material grades & technical specifications. 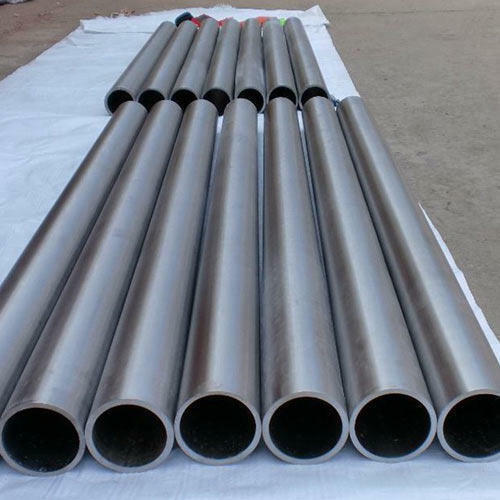 We stock, supply, export, wholesale Stainless Steel Round Pipe / Stainless Steel Round Tube which are used in applications of Bridges, Engineering, Construction, Oil Field, Offshore, Shipbuilding, Nuclear Projects, Marine Projects, Medical, Instrumentation, Furniture, Boiler, Heat Exchangers, University student projects, etc. If any requirements for Stainless Steel Round Pipe / Stainless Steel Round Tube kindly do contact us. Packaging Details Wooden Box/ Plastic Bags/ Wooden crating or as per clients request. We are exporter/ supplier of Stainless Steel Round Pipe / Stainless Steel Round Tube from associated manufacturer & looking to cater our supplies to Albania/ Algeria/ Andorra/ Angola/ Antigua and Barbuda/ Argentina/ Armenia/ Aruba/ Australia/ Austria/ Azerbaijan/ Bahamas/ Bahrain/ Bangladesh/ Barbados/ Belarus/ Belgium/ Belize/ Benin/ Bhutan/ Bolivia/ Bosnia and Herzegovina/ Botswana/ Brazil/ Brunei/ Bulgaria/ Burkina Faso/ Burma/ Burundi/ Cambodia/ Cameroon/ Canada/ Cabo Verde/ Chad/ Chile/ Colombia/ Comoros/ Congo/ Costa Rica/ Cote d'Ivoire/ Croatia/ Cuba/ Curacao/ Cyprus/ Czechia/ Denmark/ Djibouti/ Dominica/ Ecuador/ Egypt/ El Salvador/ Eritrea/ Estonia/ Ethiopia/ Fiji/ Finland/ France/ Gabon/ Gambia/ Georgia/ Germany/ Ghana/ Greece/ Grenada/ Guatemala/ Guinea/ Guinea-Bissau/ Guyana/ Haiti/ Holy See/ Honduras/ Hong Kong/ Hungary/ Iceland/ India/ Indonesia/ Iran/ Ireland/ Israel/ Italy/ Jamaica/ Japan/ Jordan/ Kenya/ Kiribati/ South Korea/ Kosovo/ Kuwait/ Kyrgyzstan/ Laos/ Latvia/ Lebanon/ Lesotho/ Liberia/ Libya/ Liechtenstein/ Lithuania/ Luxembourg/ Macau/ Macedonia/ Madagascar/ Malawi/ Malaysia/ Maldives/ Mali/ Malta/ Marshall Islands/ Mauritania/ Mauritius/ Mexico/ Micronesia/ Moldova/ Monaco/ Mongolia/ Montenegro/ Morocco/ Mozambique/ Namibia/ Nauru/ Nepal/ Netherlands/ New Zealand/ Icaragua/ Niger/ Nigeria/ Norway/ Oman/ Palau/ Panama/ Guinea/ Paraguay/ Peru/ Philippines/ Poland/ Portugal/ Qatar/ Romania/ Russia/ Rwanda/ Samoa/ San Marino/ Saudi Arabia/ Senegal/ Serbia/ Seychelles/ Sierra Leone/ Singapore/ Sint Maarten/ Slovakia/ Slovenia/ Solomon Islands/ Somalia/ South Africa/ South Korea/ South Sudan/ Spain/ Sri Lanka/ Swaziland/ Sweden/ Switzerland/ Tanzania/ Thailand/ Togo/ Tonga/ Trinidad and Tobago/ Tunisia/ Turkey/ Turkmenistan/ Tuvalu/ Uganda/ Ukraine/ United Arab Emirates/ United Kingdom/ Uruguay/ Vanuatu/ Venezuela/ Vietnam/ Yemen/ Zambia/ Zimbabwe/ etc.